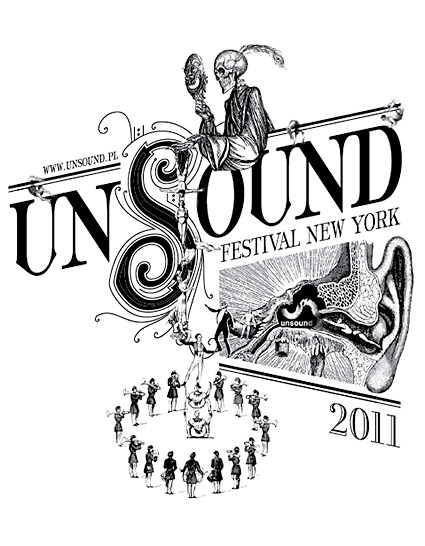 As we approach the horizon of the 2011 Unsound Music Festival NY, I can feel the anticipation building up. If you are a fan of electronic music and sonic arts, like I am, you probably know that Europe (particularly Germany) is the place to be. Beginning April 1st, New York folks will be in for a treat. 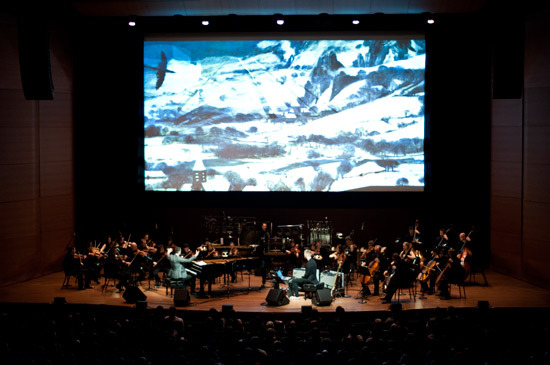 It was only until a few weeks ago that the 2011 program has been announced, but it was well worth the wait. Last year’s line-up was amazing, but this year’s will not disappoint. 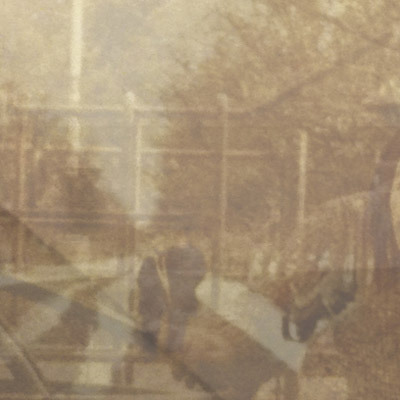 The Festival officially opens on April 6th, with a preliminary week of screenings and lectures opening on April 1st under Unsound Festival NY Labs. View full program and artists here. A tall slight man carried a blank sign through the sea of seated people silencing them in his wake. 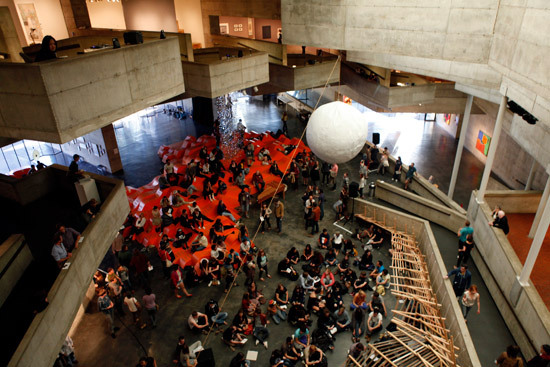 Then Liz Harris, of the music project Grouper, trickled through the crowd and the sounds began cascading down from the cement balconies that comprise the University of Berkeley’s Art Museum. Grouper’s installation performance piece SLEEP is part two of four Friday night ‘Gatherings’ curated by David Wilson at the Berkeley Art Museum. 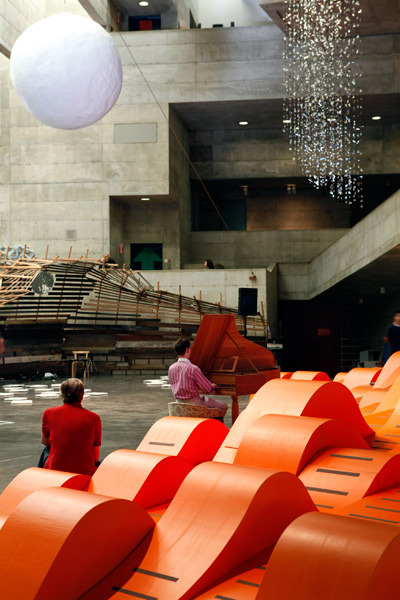 In this performance Liz Harris uses tape-collage, live instruments and the cavernous architecture of the Berkeley Art Museum to create a ‘downward-pulling current, lulling with the hiss and resonating pulse of watery sound and light’. When I was told that Alva Noto would be performing at the Kitchen last night, I braved it to Chelsea just in time before he started his set. 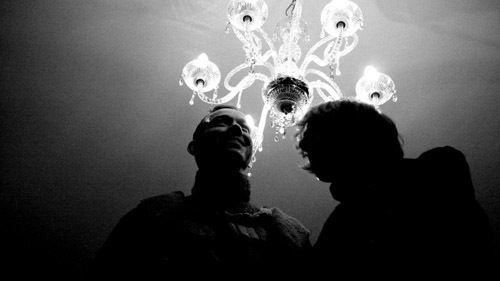 Carsten Nicolai a.k.a. Alva Noto is a minimalist sound artist, post-techno electronic musician. I started following his work since his early collaborations with Sakamoto Ryuichi. What I didn’t realize is that Mr. Nicolai also produces visuals. Last night’s performance was mind-blowing, literally, the heavily broken beats, blips, and prolonged static are sounds from faxes, modems and the telephone. They were in sync with the intense visuals which was manipulated real-time by Mr. Nicolai himself. 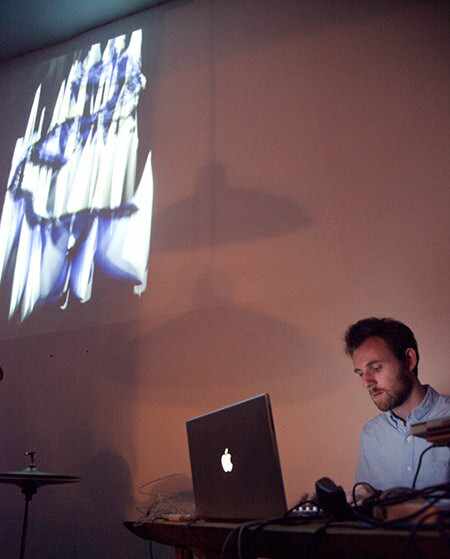 There is something quite ecstatically surreal in this work in which he uses old technologies (with recordings by poet Anne-James Chaton) that throws you off the chair. It is the art of minimal simulation to the max. The show is presented by the Pace Gallery. More photos to come.